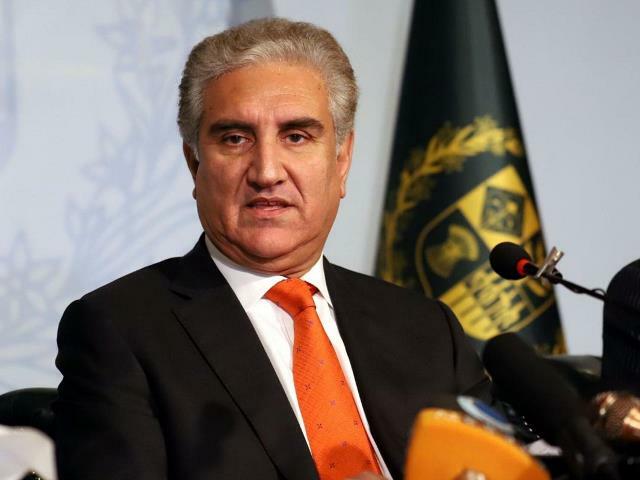 Multan: After successful negotiations between the United States and Taliban over peace deal and withdrawal of foreign forces from Afghanistan, Foreign Minister Shah Mehmood Qureshi Sunday said that Pakistan’s efforts helped bringing the United States and the Taliban to a negotiation table. Talking to media in Multan, the Foreign Minister said that talks were the only solution for durable peace for both the parties. He was of the view that Pakistan had earlier promised to play its due role in Afghan peace process. He said the world accepted Pakistan’s stance on the peace process, now we are sure about more good news in the future. He maintained that Pakistan has been asserting that war was not the solution to any of the problems in the region. “We are concerned about peace in the region, not money,” stated Qureshi. The foreign minister said: “We are one nation, not beggars.” He said he had a productive meeting with US Senator Lindsey Graham during his visit to Pakistan a few days ago, and said that Graham had agreed that talks and negotiations were the only solution to peace in Afghanistan. 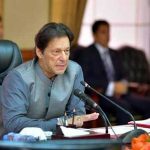 “Thereby, a new chapter of Pakistan’s relations with the US has been started,” he said, adding that Pakistan would continue to strive for the rights of Kashmiris. “He also expressed his views to have strategic relations with Pakistan instead of ‘bargaining’,” he added. 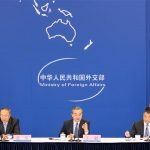 The Foreign Minister said Pakistan has pursued a regional outlook by reaching out to different countries and advocating its resolve for a stable and peaceful region. He said he is visiting Oman on Tuesday to discuss entire spectrum of bilateral and regional cooperation with the leadership of that country. He said he will visit London on 3rd of next month where he will raise before the House of Commons, the Kashmir cause and present Pakistan`s stance on Kashmir and Indian atrocities in Occupied Kashmir. Mr Qureshi is expected to deliver a speech to the House of Commons. To a question, Qureshi said the Pakistan People’s Party tried to create misconception on the issue of Public Accounts Committee chairmanship. “To move along with assembly proceedings, we agreed to the opposition’s demand and nominated the PAC chairman from their benches.” The PPP insists that the PAC chairman should be opposition leader of the House, but it doesn’t apply the same in Sindh, Qureshi said. Regarding Sheikh Rasheed’s objection on the nomination of Shehbaz Sharif as PAC head, Qureshi said he respected the opinion given by Rasheed. It may be noted here that Taliban officials, according to foreign wire services, said the United States negotiators on Saturday agreed a draft peace deal stipulating the withdrawal of foreign forces from Afghanistan within 18 months of the agreement being signed. The details were provided to a section of the media by Taliban sources at the end of six days of talks with U.S. special peace envoy Zalmay Khalilzad in Qatar aimed at ending the United States’ longest war. Khalilzad is heading to the Afghan capital Kabul to brief President Ashraf Ghani after the longer-than expected talks, the sources and a diplomat said.